Love the feel of the wheel ! 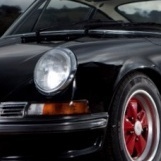 Once upon a time, when Porsche took features out of a car, they actually charged you less! I love these old MotorWeek videos. Love the guy at the five minute mark. With his green cords and parachute tracksuit top he looks like he'd shown up from MotorWeek's accounting department! Thanks for posting that Andy. Particularly enjoyed the Brian Redman drive segment and his obvious enthusiasm. ... What? The RS cheaper than the C2....! Thems the goode olde days, my friend. When marketing was but a concept. That's a gorgeous F'n car!!! Nice car Andy. And that Ronin looks the goods. Now you've got me wanting a new toy!! This has been my favourite 964 for a while. Latest updates have made it even sweeter. @Andy73 ^^^ That is a lovely car. I'd take that over probably 99% of most backdated 911's out there, I'm just such a sucker for a nicely modded 964. Agreed - was just saying the other day that I think a 964 is such a great blank canvas. This one's going straight to the pool room! Want, want, want! Love the line, "It's a collection of curves that makes Saturday afternoon washing and waxing into an R-rated experience". Might explain why i enjoy washing mine so much! Good clip. Funny how when it was filmed it would have been the latest and greatest. To us it looks dated, not it a bad way, it’s minimalist look say compared to a 295 rear tyred, lower, fatter, led lighted, and say more aggressive and futuristic 991/992- well its makes you wonder with the 991 in the future will we think gee that looks dated?! What will look futuristic then?!?! Colour great! Flares and rear wing look great! That turbo look on a 964 is awesome I reckon. Particularly like the updated front lip. Less music and more car sound would have been better. Interior is a bit hard on the eyes especially mixed with the woodgrain ... still I'd like it in my garage.. Yes the interior is just gaudy as hell! Originality be damned, I'd be swapping out all that wood grain.